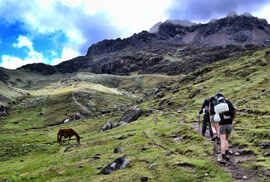 This trek is a great alternative to the traditional Inca Trail to get to Machu Picchu. It is more remote and less crowded and will leave you with unforgettable impressions of the unspoiled natural beauty of the Andes. 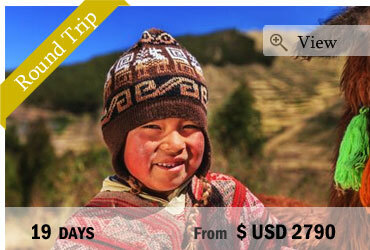 Along the trek you will see amazing landscapes, discover typical Andean villages in which life has only changed little in the last century, visit various archaeological sites and take relaxing baths in the hot spring waters, until you finally reach the Lost City of the Incas and one of the 7 New Wonders of the World: Machu Picchu! Exploring this unique and sacred place is worth all efforts of the journey and a guide will make sure to provide all the information about the place you desire. 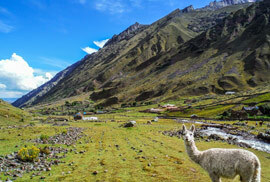 We’ll pick you up from your hotel in Cusco at around 6:00am and start our trip to Lares, where we will arrive at approx. 12:00 pm. We will enjoy a relaxing bath in the natural hot springs of Lares and have a delicious lunch. After lunch we start our trekking, enjoying the beautiful landscapes on our hike to Huacawasi where we have dinner and stay overnight (camping). Very early in the morning, after a good breakfast, we start our journey enjoying the beautiful scenery, passing by the open of Huacahuasikasa (4300m). 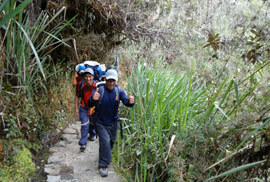 We’ll hike to “Laguna de Chalhuayoccocha” where our second camp is located. After breakfast we start our walk to the village of Yanahuara where we board a car to continue your trip to Ollantaytambo, an important place in the Quechua time. From Ollantaytambo we take the train to Aguas Calientes (Machu Picchu town), a nice journey with some amazing views. You spend the night in a hostel with hot showers and enjoy a last dinner with the group. Morning begins very early, around 4.00am. 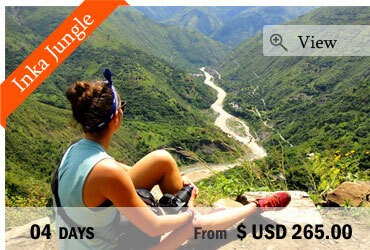 The plan is to experience a beautiful sunrise at the Sanctuary of Machu Picchu. To get there, you can either walk for about 1.5 hours or take the first bus that leaves at 5:30 and takes about 25 minutes. Arriving we will see the magnificent citadel quietly being filled with the light of the day. After a short rest, a walking tour is given by your guide, showing you the most important sights of the archaeological complex. After the tour you will have time to explore the mysterious city by yourself. 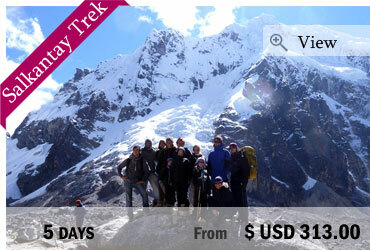 Optional you climb the peak of Huayna Picchu or Machu Picchu Mountain (prior booking!). Later in the afternoon you take the train from Aguas Calientes to Ollantaytambo and return to Cusco by bus where we’ll arrive at night. End of our services.